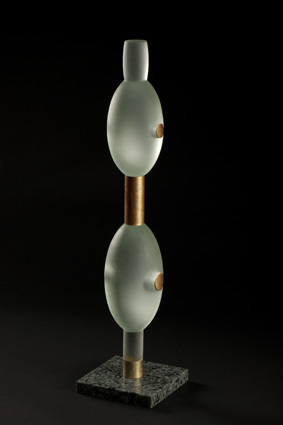 Cast glass, aluminum, gold leaf, bronze powder. Granite base. Base: 78" x 6" x 6"